As a family researcher or genealogists have substituted tax lists for those missing census records or for county/state enumerations between census? At a3Genealogy we find that we use Kentucky, Tennessee and Virginia tax lists the most, so we wanted to share this topic with our readers with a few helpful links. What Types of Tax Lists? There were poll tax, real property tax (land), and personal property tax (slaves, cattle, horses). And let’s not forget the tithing states, like Virginia; and early quit-rent taxes paid by landowners before Revolutionary War in Colonial America. Again these can be analyzed. 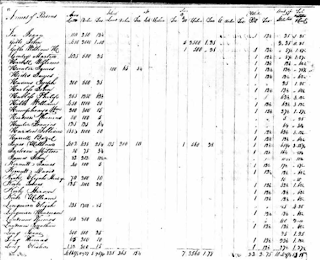 In Virginia the 1790 and 1800 census schedules were lost (ever wonder how that happened? ), but tithable men were enumerated. Tithable monies were important to pay for the maintenance of the local churches and parishes. It was through a tithable Virginia list that we located Tim McGraw’s ancestor Isaac Chrisman in VA. Narrow birth years of males (when are they initially named on the tax lists). Know your states’ laws for the year as to when a male (son) must be listed individually and not enumerated with the father. Differentiate men of the same names. .
Track families that were not landowners. If they were not landowners, researchers rarely find a probate or will. In addition to substituting census records, we find that tax lists are especially useful when paired with pre-1850 census records. A study of tax lists across time would reveal which of the three men named John Jones owned land. The land could be identified by location and tract. The acquisition and disposal of the land can be tracked for each man. With this knowledge, deeds and land grants can be checked. Deeds may reveal the wife’s name. This may now have helped pinpoint which John Jones married Sintha Smith. John Jones’ relationship to the other Jones men in the neighborhood can then be studied. Also, stay mindful of the state and county map formations. As noted, Kentucky and West Virginia were in present day Virginia in 1783. Early Tax List Records for Tennessee, 1783-1895, may be digitized on ancestry.com. This database collection includes 71 Tennessee counties. Originals of Tennessee salvaged tax lists may be found at the State Library and Archive. A collection of free scanned microfilm Virginia Tax Lists - early City Tax Lists, County Tax Lists, and Colonial Lists - may be found at the Binns Genealogy website. Mississippi County Tax Rolls, 1818-1902. 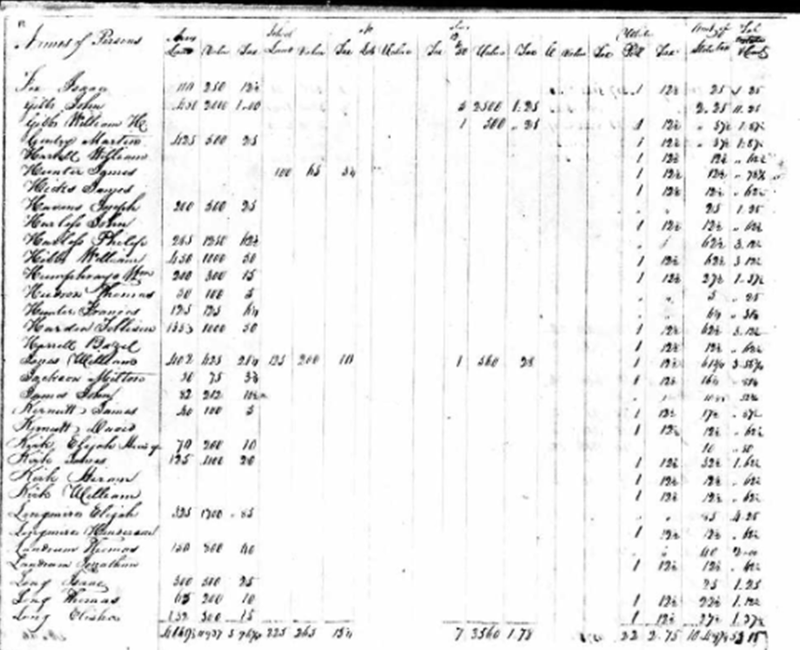 Recently the a3Genealogy researchers were able to use these tax rolls to identify the correct slaveholder and slave family. You're welcome. If I ever find more, will send them your way. Eagerly awaiting the post on finding Mississippi slaves/slaveholders.